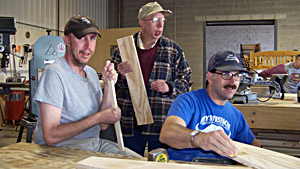 “Everybody can do something,” is the motto at New Lenox Wood Works. New Lenox, Ill., home to less than 25,000 people. This isn’t your average wood shop. Most of the workers were born with disabilities but some developed them later in life. These guys aren’t just making knick knacks, they are making functional furniture and complex pieces that last. They make chests out of Eastern red cedar and Western red cedar that are sanded and finished, carved fish-shaped chairs with a tails that recline, and BBQ carts with tiled tops, “You can put anything on it hot right off the grill,” McCutcheon says. They also make large picnic tables designed so someone with a wheelchair can roll up and sit right on the end. “Almost everything we do is custom made,” says McCutcheon. “We ask ‘how high is it?’ Then we fit it. “Some will say ‘I like this but it’s way too short,’ so we’ll build it a couple of inches taller,” he says. The Eastern red cedar is from Illinois, which McCutcheon says is available at practically any lumber yard, and Western red cedar is from the other side of the Mississippi. They sell the red cedar chests for $500, about half to a third of what other places would charge. “The cedars will not rot and will last about 10-15 years. 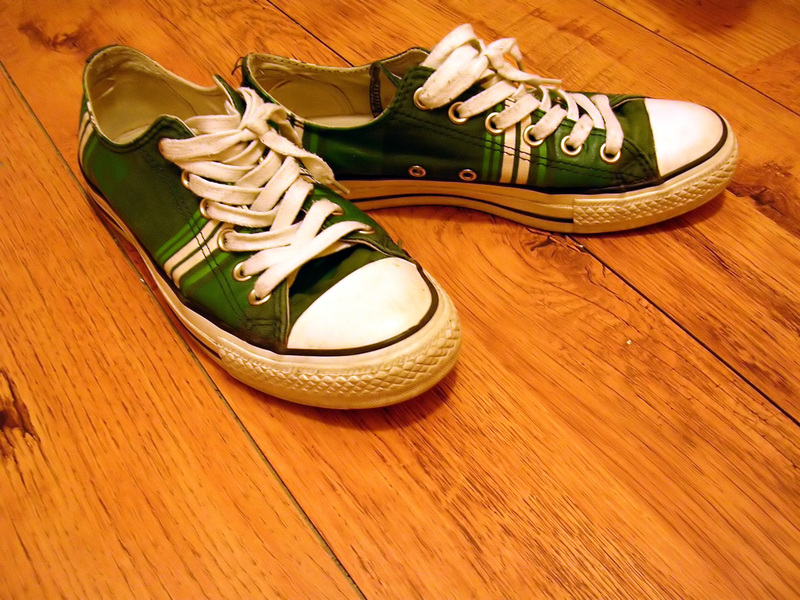 We put three coats of varnish on top so we believe our products will last 20 years,” McCutcheon said. Three years ago New Lenox Wood Works started with 14 people, now they have 25 and a growing waiting list. The shop has four staff and two volunteers. Volunteers have to pass a background check and drug test before they can enter the program. “People come from all over,” McCutcheon says. But the workers aren’t just there for the joy they get out of building quality items. They also get to take home a paycheck every Friday. Earnings the shop makes from selling the pieces go back into the program to purchase more wood and to pay the workers. The program got started as a club five years ago by Dave Davis as an agency of Trinity Services, a nonprofit organization with a wide range of programs for children and adults with developmental disabilities and/or behavioral health needs. But soon the club, which then only made bird houses and trinkets, became so popular that it broke out into its own group. “It started it as a woodworking club. Then everybody wanted to be in my club. Nobody wanted to go to any of the other clubs,” Davis says. “I was so happy to get something like this going and have it catch on like it did,” he says. They opened up one bay across the street from where they are on Edison Drive. Now their current shop, which they’ve had about four years ago, has three bays. When Dave Davis retired as coordinator to spend time with his grandson, McCutcheon, whose son was in the program, took over. Now Davis volunteers at New Lenox Wood Works part time. Mike McCutcheon loves that he gets the opportunity to spend time with his son, Steve, who is wheelchair bound. Although he has cerebral palsy from a brain injury at birth, there is a lot this man can accomplish when it comes to wood. His favorite activities at the shop are painting and sanding. When workers enter the program, they are evaluated and placed into one of five levels according to their skills. Some can sand, some can paint, some do priming, some can do varnishing or staining, and some do detail painting. “Different people have different levels of skills,” says McCutcheon. “We take the ones that have better functions because working around machinery is dangerous." The machines remain unplugged when not in use as a safety precaution. Only staff are allowed to touch the machines or be within five feet of them while they are in use. The staff cut the wood, while the employees do everything else. If an employee expresses a desire to move on to the next level, McCutcheon holds a class to teach them, giving them the opportunity to test for that level. 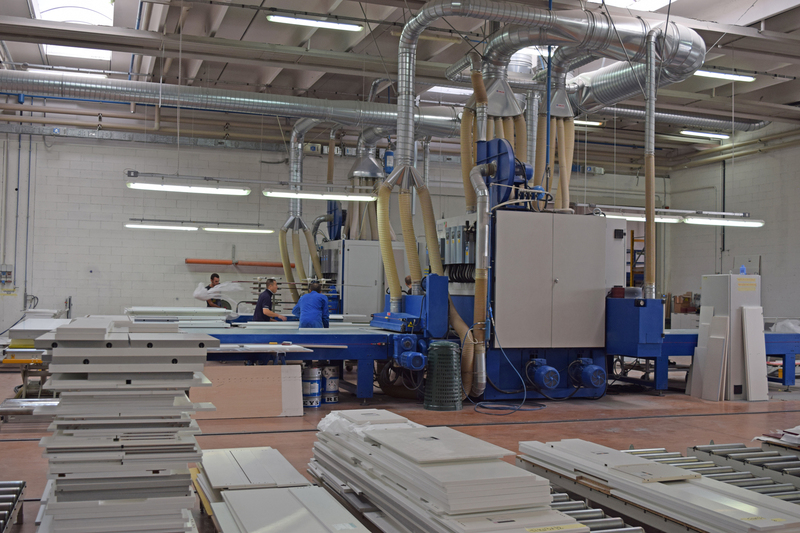 For instance, if a worker is at the sanding level and wants to go on to the priming level, McCutcheon will show him how to load the brush with paint, how to apply the paint to the product, and then how to spread the paint around evenly. New Lenox Wood Works uses a variety of equipment including table saws, band saws, routers, and planers. Much of their equipment was purchased, but a lot of it was donated to them. “We have a lot of equipment from big companies – DeWalt, Craftsman, and Porter Cable,” McCutcheon says. Much of the shop’s equipment includes table saws, band saws, miter saws, radial arm saws, brad nailer, drill press, screw guns, lathe, edge planer, routers, sanders and a grinder from Bosch, Bostich, Craftsman, Delta, DeWalt, Hitachi, Makita, Performax, Porter Cable, Rigid, Rockwell and Ryobi. “Two years ago around Christmas time, a man who lives here in New Lenox called and said ‘I want to clean out my garage,’ and asked me if we needed any equipment. I thought we would be getting wood,” he says. But when he got to the garage it was full of table saws. “We left there with $10-15,000 worth of equipment,” he says. Right now the shop is in need of a large, professional or commercial 10-inch table saw and a 13-inch wood thickness planer. They are also seeking to install a shop dust collection system with multiple input hoses. Some of the workers have allergies and other respiratory issues and McCutcheon says it would be a great help to remove much of the dust from the air in the shop. Since most of their funding comes from the state, they have suffered due to budget cuts, but they’re still making products that make people smile. Among the melange of items are wooden Halloween signs cut and painted into the shape of a pumpkin, that say, “Boo!" McCutcheon pointed out a set of two bright pink beanbag toss games, each with a silhouette of Tinkerbell that say “Annabelle” in red lettering. “Her name is Annabelle, and she loves Tinkerbell, so we got some silhouettes of Tinkerbell and put those on and put her name on, and then we have the bags that are made for them,” he says. In the display area, the back area where they do finishing work, James Maack, also known as Bear, paints 50 hand-sized bird houses for a baby shower. The person who ordered them requested 25 yellow and 25 gray. When they are finished with them, they will be used as tree ornaments for family members. Their sense of humor is in no way dampened by their disabilities. Tony Tschiggfrie (pronounced chig-fry), from nearby Frankfort, was 14 when he was hit by a car while riding his bike. He walked away from the accident with brain damage, but he is exceptionally lively and friendly. Employee Richard Drorbick says, “I love coming here. I like to paint, sand, varnish.” Among other things, he says he likes to bowl on Sunday afternoons. McCutcheon and William Schenold, who is fittingly called Uncle Buck, make a fabulous team. They know the workers so well they can practically speak for them. Some of the guys have little if any family and look at them as father figures. Some even call them dad. Tommy Tsikretsis, who has Down’s Syndrome, has worked there for four years and likes to exercise. “I just love working with the guys,” says Davis. “They are just so terrific to work with. When you go home every day, it gives you a good feeling knowing that the guys are happy. They’re happy coming here. They’ve always got a big smile on their face. “I’ve always said everyone can do something. That may not be much, but they can do something. And that’s the way these guys feel around here,” he says.